LouAnn has extensive experience in complex commercial litigation and arbitration involving foreign corporations, as well as in manuscript coverage disputes. Admitted to practice in New York, Connecticut and Pennsylvania, she has represented international corporations in United States products and premises liability litigation and arbitrations and has also represented foreign insurers in complex U.S. insurance coverage litigation and arbitrations, involving manuscript policies. She has also handled arbitrations involving the Bermuda Form as well as other foreign manuscript coverage issues. LouAnn is also an international arbitrator, having earned the designation of Fellow of the Chartered Institute of Arbitrators, London. Counsel for National Union in insurance coverage arbitration involving a Time Element Pollution endorsement on a policy written and issued in Guam. Counsel for Finnish insurer in coverage litigation arising out of a policy written and issued in Finland. Counsel for Puerto Rican insurer in bad faith litigation in Puerto Rico. Counsel for Insurance Company of Pennsylvania in coverage litigation arising out of a policy written and issued in in the Netherlands. Counsel for American International Underwriters in Dow Corning Silicone Breast coverage litigation regarding policies written and issued in Brazil, Argentina and Australia. Counsel for insurer regarding coverage issues arising out of an OCIP relating to the construction of Puerto Rico’s Tren Urbano railway system. Counsel for South African insurers regarding coverage issues arising out of numerous products liability claims involving baby seats. Counsel for insurers regarding claims made under an OCIP policy issued for the Hovensa Refinery in St. Croix, Virgin Islands. Counsel for Israeli manufacturer of cleaning products in litigation in New York. Counsel for UK insurers re Anti-Terrorism Financing cases. Counsel for various multinational hotel chains re terrorist bombings in Jakarta, Indonesia; Taba, Egypt; Amman, Jordan; Islamabad, Pakistan; and Mumbai, India. Counsel for Slovakian tire manufacturer in products liability action in Mississippi. National Coordinating Counsel for Hilton International Company. Counsel for various Chinese manufacturers in products liability litigation in U.S. courts. Counsel for Malaysian manufacturer of latex gloves in multidistrict products liability litigation (MDL 1148). Counsel for insurer in direct action jurisdiction in multidistrict litigation (MDL 721) arising out of Dupont Plaza Hotel fire. “Jurisdictional Issues Involved with Products in a Global Market,” www.kknylaw.com/blog, 2011. "Nanotechnology – Asbestos or Y2K, Its Not Easy Covering the Head of a Pin,” www.kknylaw.com/blog, 2010. 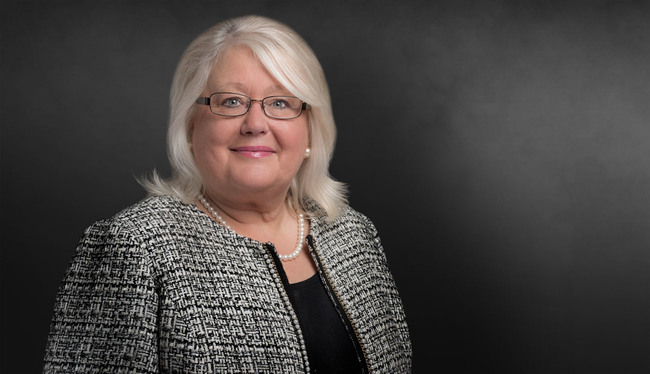 LouAnn Kelleher to speak as part of an international panel at the 7th Annual Conference of the Atlanta International Arbitration Society (AtlAS), November 2018. This session will address the cultural norms in international arbitration in Asia and Australia. “Lost Lives, Damaged Property and A Toaster – The Domestic and International Reach of Liability Coverage for Manufacturers and Retailers Under the ISO Vendors Endorsement and Similar Forms," presentation,ABA Insurance Coverage Litigation Conference, 2012. “Buckyballs and Nanotubes: Insurance Issues Related to Nanotechnology,” presentation, ABA Tort Insurance Practice Conference, 2010. “Number of Occurrences, East Coast/West Coast All Around the Country,” presentation, ABA Insurance Coverage Litigation Conference, 2008.